50% Alpaca, 35% Merino Wool, 15% Silk. Knit. This is a lovely yarn blend. It graduates ever so gently from thick to thin and is very soft to touch. I also love it’s super subtle colour variation, it’s so subtle you could easily not notice it… unless you’re a bit of a yarn freak like me! Still on the Beanie thing… Still loving the greys…Still getting used to knitting in the round… Still using the fabulously easy pattern from Kate at Foxs Lane for a base. Thanks Kate! Grey: 50% Baby Alpaca, 30% Merino Wool, 20% Bamboo. Lime: 68% Baby Alpaca, 22% Silk, 10% Extra Fine Merino Wool. Crochet. 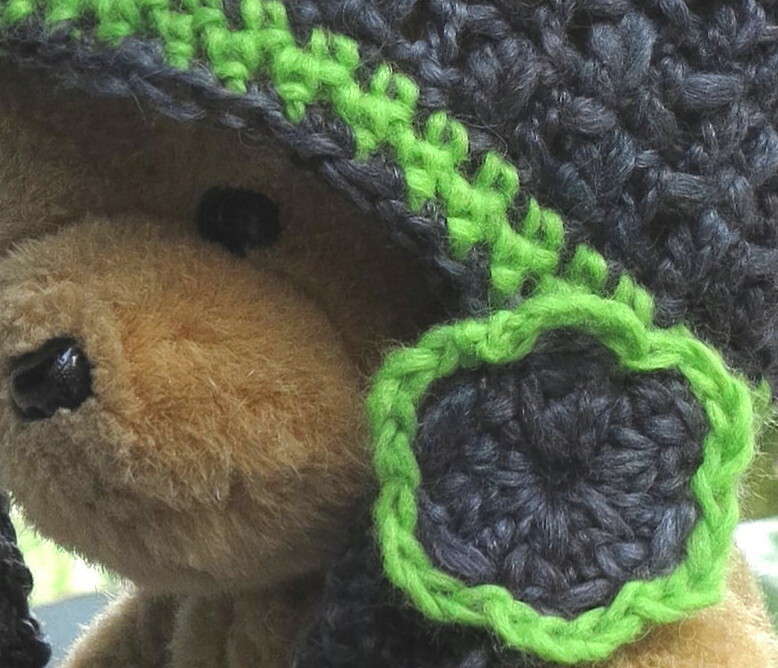 I wanted to throw an unexpected element into this grey beanie which is where the contrasting lime green came in… and I liked the idea of a beanie that would cover your ears… as I thought about how to create this, flowers came to mind. What’s cuter (or weirder possibly for some!) than flowers on your ears to keep them warm? 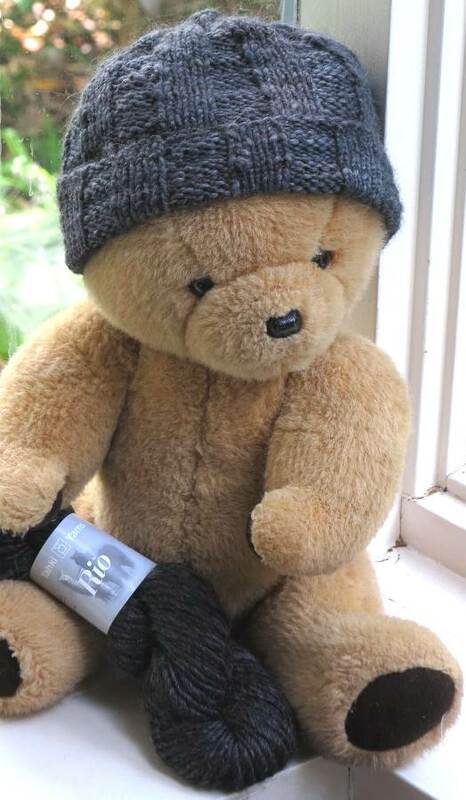 This beanie is a little big on Ted… I’m yet to find a willing larger head size model. 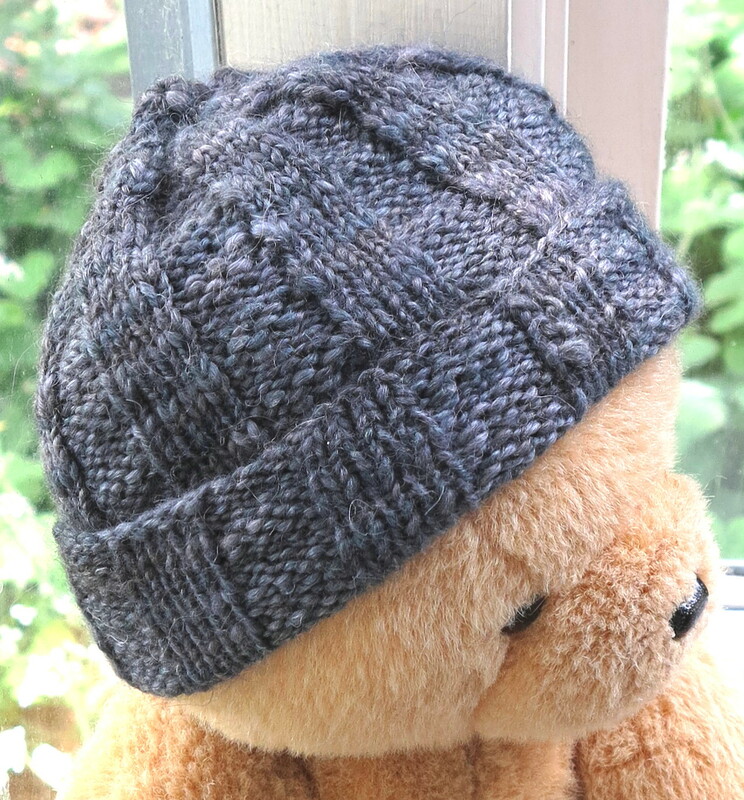 No pattern used here… and the next grey creation wont be another beanie… I think… I’ll try… I can’t promise. 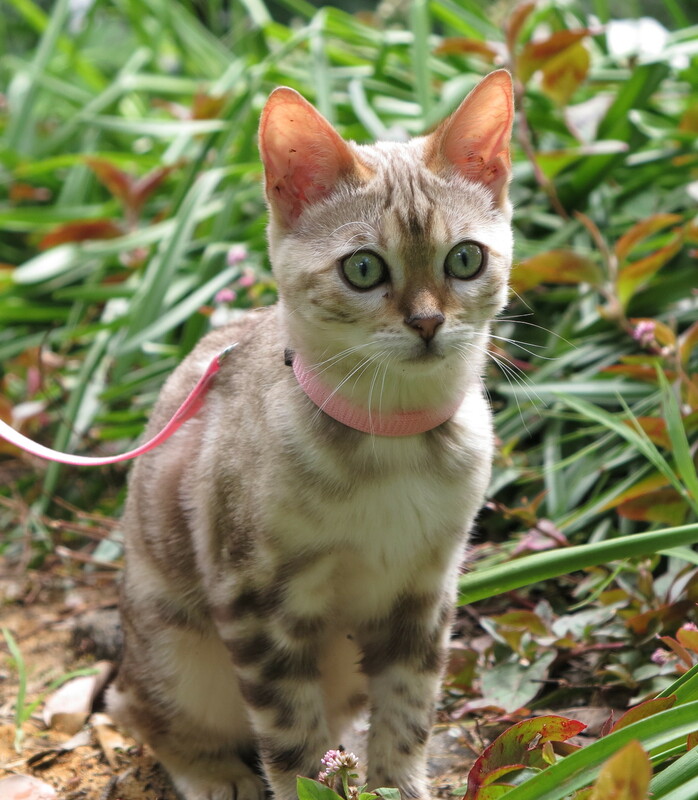 This cute little Bengal kitten belongs to my daughter and her boyfriend. They are in New Zealand on holidays so we’re doing a little kitten-sitting at the moment. Koya is such a sweet thing and I swear she’s as soft as my pure baby alpaca blankets. And if this looks like a normal photo, can I just let you know that she doesn’t sit still for a second and it was a lot harder to take than it looks. I confess I’ve not been knitting or crocheting much whilst she’s been here either. That yarn … those needles … are just like a red flag to a bull … she’ll charge at anything that moves… and even stuff that doesn’t! It’s very hard to get anything done to be honest, even watching TV is a challenge as I keep getting distracted watching her funny little antics. Who’d have thought a little packet of tissues could provide hours of entertainment… for both of us! I can’t stop crafting for long though…so maybe I’ll have to sneak away… quietly… and try not to click clack those knitting needles too loudly. I’ll let you know how I go with that. In the meantime, wishing you happy click clacking days full of cuteness like a kitten! 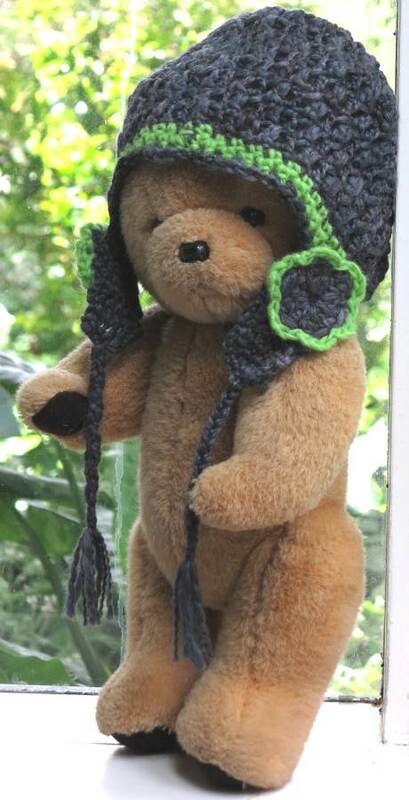 This entry was posted in crochet, knit, Photography, Uncategorized and tagged alpaca, beanie, bengal kitten, crochet, flower, knit, merino wool, silk. Bookmark the permalink.